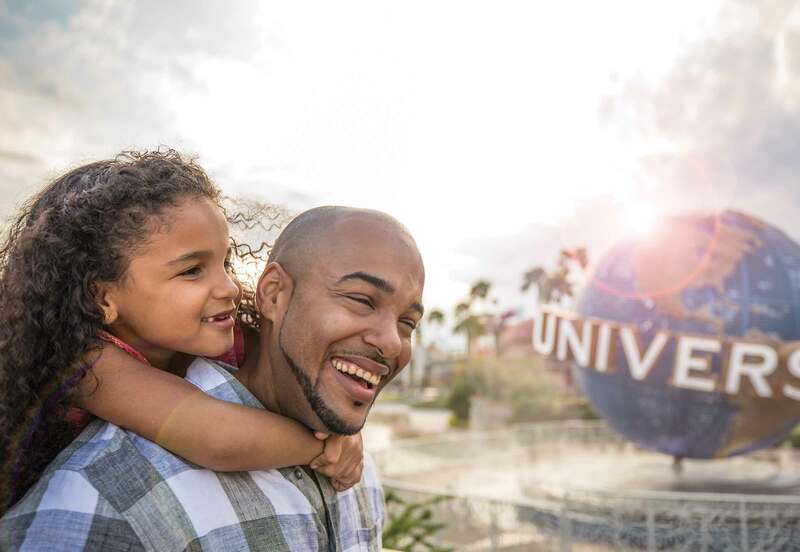 When you stay at one of the six Universal Orlando resort hotels, you automatically receive Early Park Admission privileges that let you access select attractions an hour earlier than regular guests. This gives you more time later in the day to relax at the resort pools or hit the spa. Let’s face it—sometimes the kids need a break from the adults. 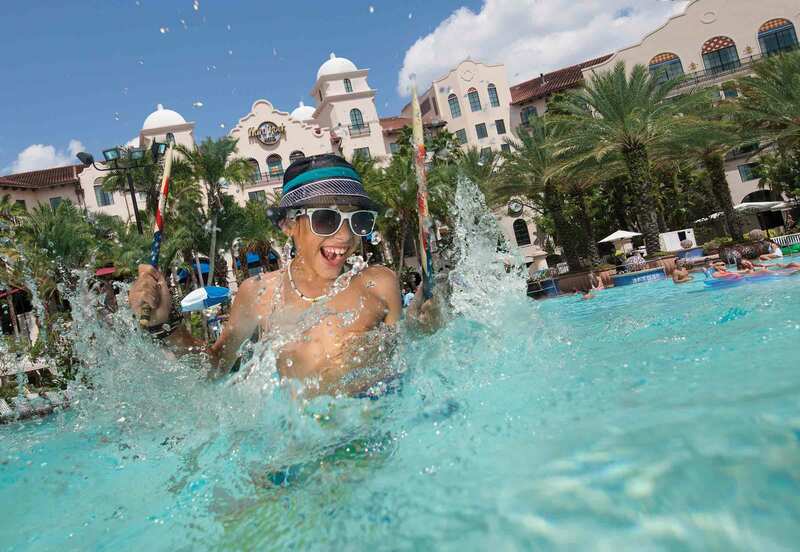 Fortunately several Universal Orlando Resort hotels offer fun camps for kids aged 4-14 for a nominal fee. At Campo Portofino , Camp Lil' Rock or The Mariner's Club, your young ones will have a blast making new friends, playing games and watching movies. 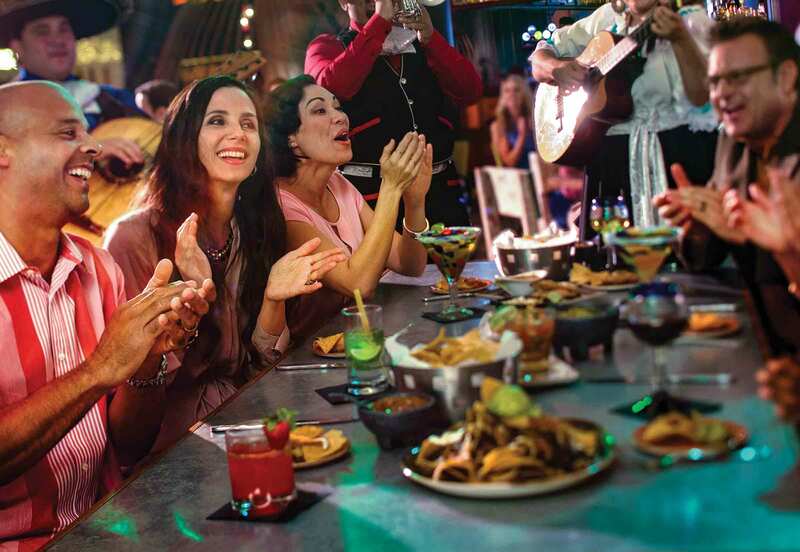 And while they’re entertained and supervised, you can have a date night to remember at Universal Citywalk , clinking glasses of vino at VIVO Italian Kitchen then dancing to the live band at Bob Marley–A Tribute to Freedom. 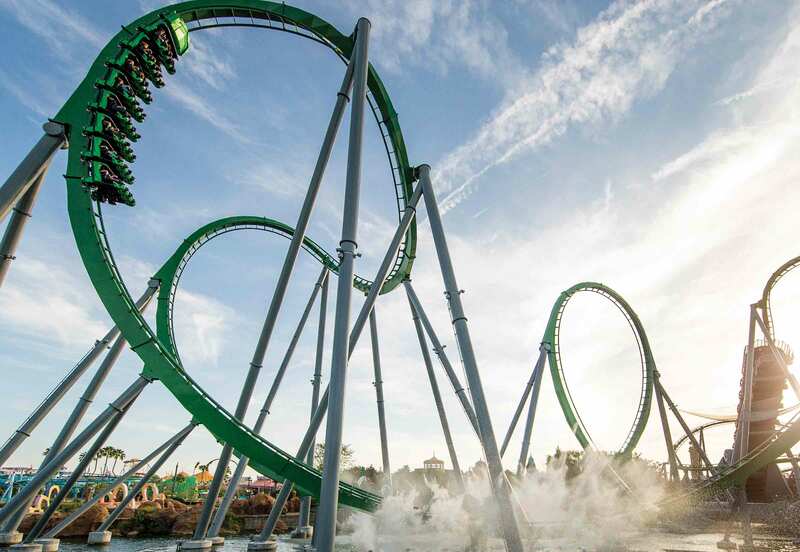 If you have kids who are excited to experience most of the attractions, but maybe not the bigger ones, Universal Orlando Resort has you covered there too. Many of the rides include a “child swap” area near the front of the ride. In these rooms, one member of the family can stay behind and wait with the wee ones while you race up to 67 miles per hour, feeling your world turn upside down in zero gravity, on The Incredible Hulk Coaster . Several resort hotels feature family-friendly suites that everyone will love. In the Jurassic World Kids' Suite at Loews Royal Pacific Resort, kids will be sleeping within a world of dinosaurs, feeling like they’re right in the middle of the action. 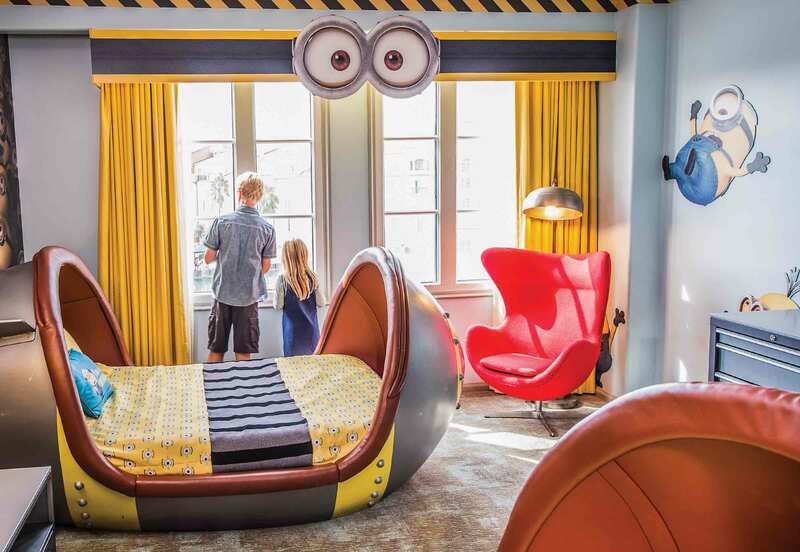 Stay in Loews Portofino Bay Hotel’s Despicable Me Kids’ Suite, and their inner-Minions will feel right at home, especially while they sleep in two missile beds. And up to eight can comfortably sleep in the two-bedroom family suites at Universal’s Cabana Bay Beach Resort, which is right next door to Universal’s Volcano Bay . Cabana Bay Beach Resort TM & © 2019 UCF Hotel Venture II. All rights reserved. Portofino Bay Hotel and Royal Pacific Resort TM & © 2019 UCF Hotel Venture. All rights reserved. © 2019 MARVEL. Universal elements and all related indicia TM & © 2019 Universal Studios. All rights reserved. Just a quick stroll or free water taxi ride away, Universal CityWalk is where unforgettable family fun meets specialty-themed restaurants to create the perfect blend of “Yum!” and “Wow!” Tickle your taste buds while dining at unique venues such as The Cowfish , Antojito’s Authentic Mexican Food , Vivo Italian Kitchen , and the always decadent The Toothsome Chocolate Emporium & Savory Feast Kitchen .